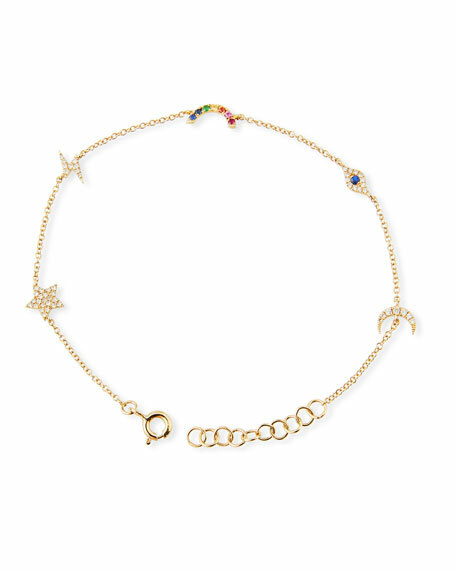 Ef Collection diamond cosmic charm bracelet. Rolo chain with five charm stations. Diamond star, bolt, eye and moon. Pavé mixed stone rainbow charm. Ruby, emerald and aquamarine with pink, orange, yellow and blue sapphires. 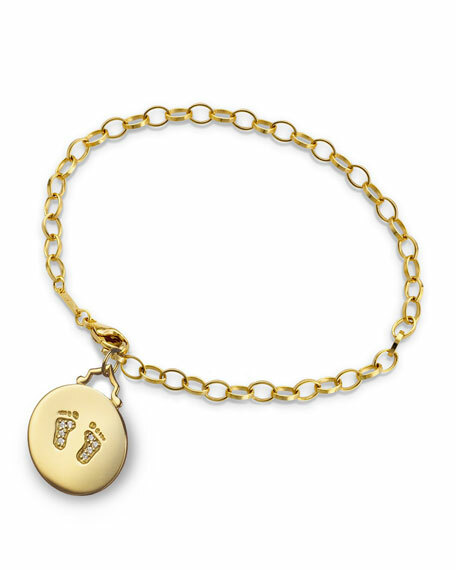 Baby feet charm bracelet by Monica Rich Kosann. 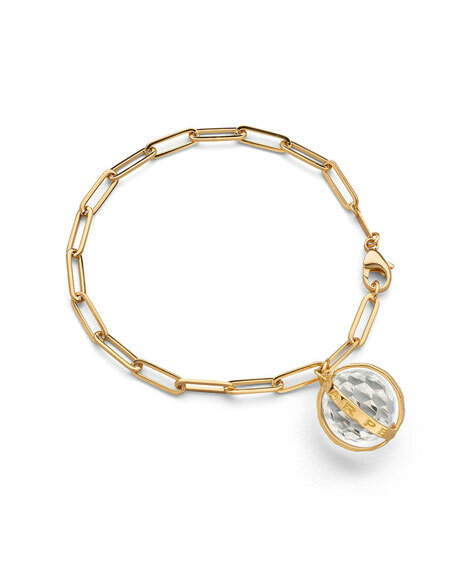 Polished 18-karat yellow gold chain and charm. 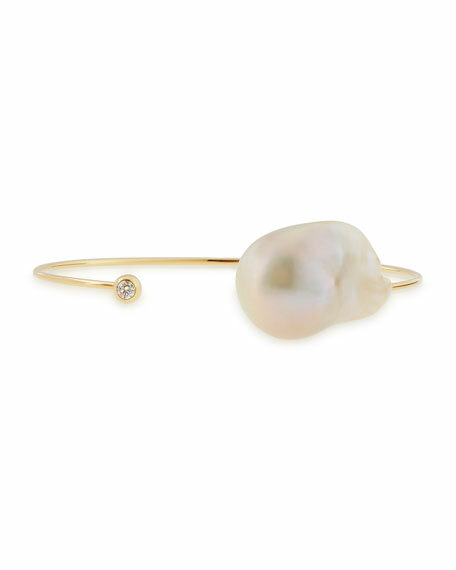 Round charm with diamond pav baby feet. 0.07 total diamond carat weight. 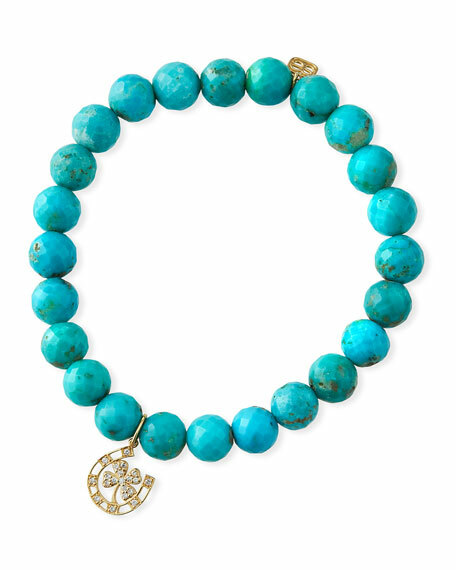 Stamped with signature logo. Approx. 7"L chain. Lobster clasp. Made in USA.